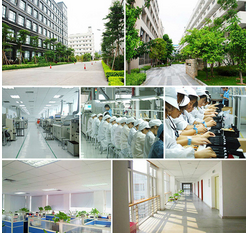 Shenzhen Topband Battery Co., Ltd, a company professional to do LiFePO4 battery, which is founded in 1996 and listed in Shenzhen in 2007.There are over 300 R&D engineers and about 3,000 employees in the 70,000 square meters Topband industrial park.We can provide One-Stop Solution of new energy, from cell, BMS/PCM to battery pack assembling. 2.1 Rated Capacity 100Ah Rest for 1 hour after fully charged, then discharge with 0.33C current until the battery reaches the discharge cutoff voltage. Repeat above process for three times, if the discharge time is not less than 120 minutes, you can stop and define the Discharging current*time value (Ah) as battery capacity. RV, Solar Energy Storage ect. About 1/3 the weight of lead-acid batteries. 1) Based on the character of cell, proper environment for transportation of LiFePO4 battery pack need to be created to protect the battery. 2) Battery should be stayed in the warehouse 15℃～35℃ where it’s dry, clean, shade, and well-ventilated. 3) The battery should be stored in 50% SOC during transportation. 5) Keep the battery against dropping, turning over and serious stacking during loading. Please read and follow the specification and caution remarks on battery surface before use the battery. Improper use may cause heat, fire, rupture, damage or capacity deterioration of the battery. 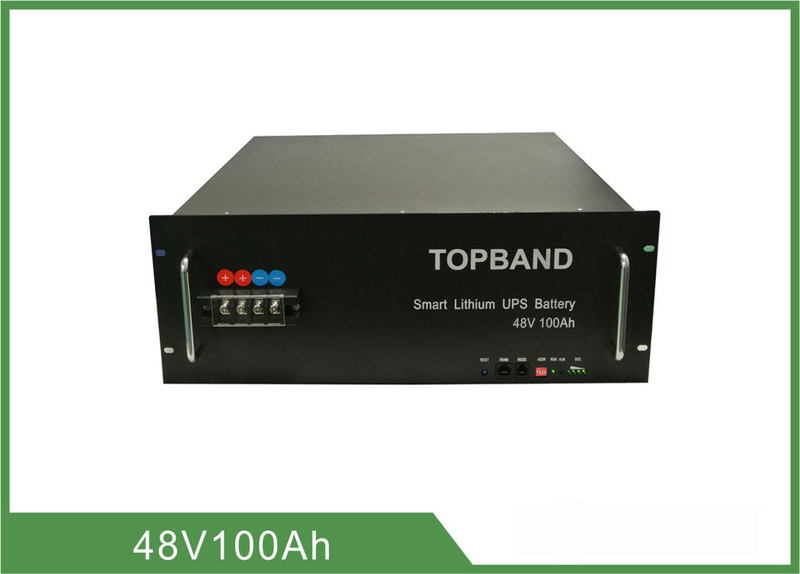 Shenzhen Topband Battery Co., Ltd. Describes is not responsible for any accidents caused by the usage without following our specification. The battery must be far away from heat source, high voltage, and avoid to be exposed in sunshine for long time. Never throw the battery into water. Never connect the positive and negative of battery with metal. Do not use the battery mixed with other different manufacturer, type, or model batteries. Keep the battery against high temperature. Otherwise it will cause battery heat, get into fire or lose some function and reduce the life. When battery run out of power, please charge your battery timely (≤15day). Please use the matched or suggested charger for this battery. If battery emit peculiar smell, heating, distortion or appear any abnormity during working or storage, please stop using and take it out from device. If the battery leaks and get into the eyes or skin, do not wipe, instead, rinse it with clean water and see doctor immediately. Please far away from children or pets. Do not put disuse battery into a fire or water. It is strictly prohibited any series between the battery packs. 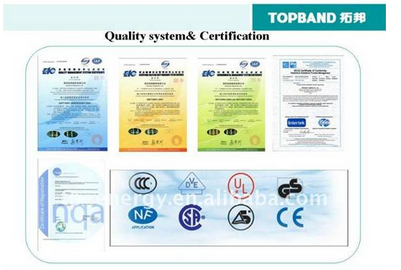 Any requirements on serials connection, please contact TOPBAND for details.